What a bizarre, implausible statement. Australia is the second largest exporter of gas in the world. Why would we ever import gas? Our very own Department of Industry, Innovation and Science ranked Australia’s market share at 20 per cent of world gas exports in 2017. Sadly, however, it is true. Despite our enormous reserves of gas, there are now four gas import terminal projects on the go; four facilities being developed to import gas into Australia. All are backed by major gas market players, either locally or globally. Although Australia may soon surpass Qatar as the world’s largest exporter of LNG, we have failed to provide gas at a reasonable price for our own people. The market, with the exception of Western Australia, is starved of gas, so domestic prices are among the highest of any country in the world. 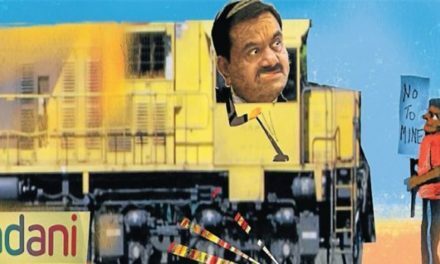 As the government won’t intervene to establish a “domestic reservation policy”, the very policy which keeps WA gas prices far more affordable than the eastern states, the gas giants are building import facilities, facilities which will allow them to further profiteer as gas prices continue to rise. To the four import terminals: there is a terminal proposed for Port Kembla in NSW. This one is backed by Andrew “Twiggy” Forrest, JERA and Marubeni. 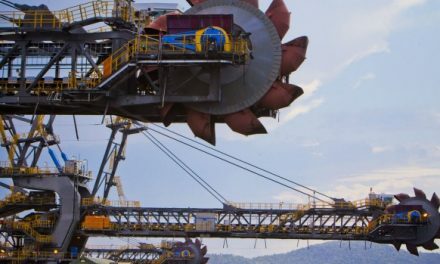 There is another at Cribb Point in Victoria being built by AGL, another still in Victoria for ExxonMobil, and Mitsubishi’s Pelican Point project in South Australia. 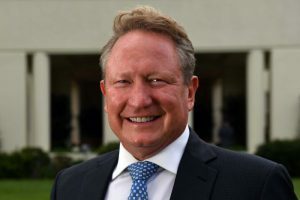 All of these major corporations – and one entrepreneur in Andrew Forrest – agree on one thing, they can make money by importing LNG into Australia because the prices paid by Australian consumers are so high. So high are the prices we pay, that these corporate gas giants can absorb the costs of liquefying the gas – turning it into LNG that is – shipping the gas and then re-gasification; that is, turning it back into gas again. Each of these processes is expensive in itself. Cumulatively they add up to around A$6.70/GJ (per gigajoule). This is a very large cost impost given that, before 2014, we used to pay A$3-4/GJ and we currently pay $8-10/GJ for contract gas. To understand this ludicrous turn of events we must go back in history. Like any good story, this started with a dramatic event, the Fukushima earthquake and tsunami. Virtually overnight, the entire Japanese nuclear power industry shut down, withdrawing 30 per cent of all Japanese power generating capacity from service. The Japanese turned to thermal fuel imports to fill the gap, including LNG, and prices in the tightly-controlled market spiked to A$20/GJ. This price signal spawned a rash of new LNG plants concentrated in Australia and the US. In December 2014, the first exports from the east coast of Australia took place from the first of three large LNG export facilities at Gladstone in Queensland. Before this, the east coast was a domestic-only market and prices were consistently low at $3-4/GJ. The east coast market is now divided into a domestic market, accounting for less than one-third of the gas produced, and an export market which accounts for more than two-thirds. International gas prices are linked to oil prices and with oil prices plunging from $US110/barrel in 2014 to under $US50/barrel in 2016, the gas exporters were hurting. To turn a profit, the tight cabal of producers on the east coast turned to the domestic market. This cabal, which we have no hesitation in calling the East Coast Gas Cartel, saw the opportunity to starve the domestic market of gas and force up prices. They deployed in-house economists to propagate the myth of gas shortages. The people of NSW were threatened with outages of gas in 2016 if the Gloucester gas project did not proceed immediately. After many environmental transgressions the project did not proceed and the “outages” forecast by industry never eventuated. The gas producers continued to starve the domestic market of gas and make super profits from Australian gas consumers. Prices for contract gas in Eastern Australia have fallen from over $20/GJ in early 2017 to around the levels of $8-10/ GJ presently . The government has claimed credit for the fall claiming that their policies are working . These are hollow claims. Prices in the international contract market have fallen faster than those in Australia, as the global glut in supply takes hold. There were simply too many LNG plants built around the world since 2011, a construction boom which caused excess supply which will last until at least 2027. Importers, particularly the large Japanese trading houses, see a fantastic opportunity to access the high-priced domestic East Australian energy market. There can be no better illustration of this than the gas import terminal proposal for South Australia, which includes building a gas-fired power station so it can access the excessive prices paid by gas and electricity consumers in Australia. Essentially, Australia is exporting gas at a cheap price, putting that gas through the expensive liquefaction and shipping process, and then re-importing that gas and putting it through the re-gasification process. This is embedding a number of costs in our gas which we simply should not be paying. To illustrate, it is best to take the example of a Melbourne-based industrial consumer. Late last year, gas was flowing from the Bass Strait to Gladstone to be exported. If import terminals had been in operation then the gas may have been sold to Japan (the world’s biggest importer of LNG), where there is an excess of supply. The Japanese company may have sold that gas back onto the international market. It may then have been purchased by AGL or ExxonMobil who would have then delivered it to their terminals in Melbourne and on to the end customer. This means that the customer is paying for four processes which are essentially useless: piping costs to Gladstone, liquefaction costs, shipping costs and re-gasification costs. It is far more efficient and less costly just to get the gas from the Bass Strait than pay all the costs of the gas “merry-go-round”. This brings us to the fundamental regulatory issue of whether there is a gas “market” at all. If a market existed the gas merry-go-round could not exist. 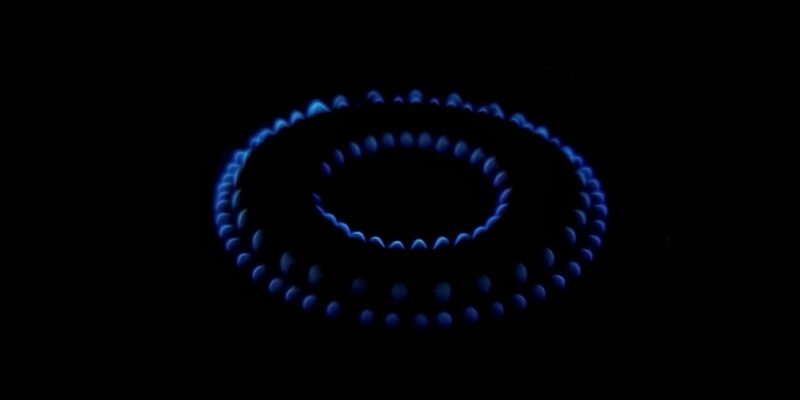 There is no gas “market” on the east coast of Australia; rather a tightly controlled cartel. Deloitte conducted a study into the costs to the economy of our uneconomic gas prices and found a cumulative reduction in manufacturing output of between $88 billion and $120 billion between the years 2014 to 2022. While gas prices are kept at such a high level there is a commercial opportunity to feed on the misery of the Australian gas consumer. The alternative to import terminals being touted by the gas industry is to develop the controversial Narrabri gas field. In practice, this is no alternative at all. Gas from Narrabri is high-cost gas. Reserves were already downgraded by 30 per cent in February 2015. Santos and its partner Energy Australia have written off a staggering $1.7 billion on their Narrabri project, a project which has not produced one gigajoule of commercial gas. Producing high cost gas is no way to bring down the cost of gas. All is not lost however, as there is a solution to the high domestic prices. For the individual consumer it is now cheaper to abandon your gas supply and use an efficient air conditioner to heat your home and solar or a heat pump for your hot water requirements. Cooking can be done with the instant response, efficient induction stove tops. Getting out of gas will save customers money. There are many industrial processes which are likewise able to be switched to alternative fuels such as Sanjeev Gupta is planning in South Australia with his revolutionary renewables-powered steel works. This is however a partial solution as some processes are yet to be able to be economically switched to alternative fuel. To find the solution we can pretty much look to any other nation which has domestic production of energy resources. Or we can look to the other side of our own continent, Western Australia, which for years has had a policy that has kept domestic gas prices at a reasonable level while allowing an investment boom in gas production. We are talking about earmarking domestic gas production for domestic gas consumption: a gas reservation policy. Domestic gas reservation in WA has enabled the cheapest prices for gas in the country and most certainly has not dented the prospects of investment in new gas supply projects. The solution is right on our doorstep. All that is lacking is the political will. 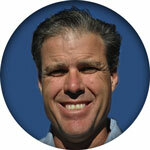 Bruce Robertson is a gas analyst with the Institute for Energy Economics and Financial Analysis (IEEFA). Robertson has been an activist fighting against AGL’s coal seam gas project at Gloucester in NSW and was responsible for the analysis which made “gold plating” of Australia’s electricity networks a national issue.